Located about three hours east of Minneapolis, the Wittenberg property recently completed a $33 million hotel addition and property enhancement project that offers guests a whole new casino and resort experience. 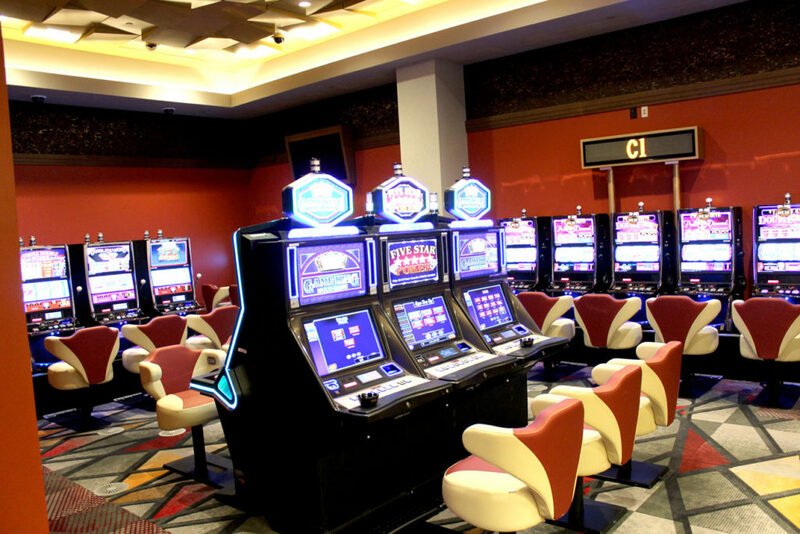 The addition of the 86-room hotel, a three-meal restaurant and an all-new gaming floor featuring 200 new slot machines as well as the addition of electronic blackjack, roulette and Texas Hold’em, has gamers excited to get a look at the latest renovations. We caught up with general manager Fletcher Collins to discuss the exciting property projects and their plan to continuing to deliver a superior casino experience for guests. Midwest Gaming: You recently completed a property expansion that included a hotel, new dining and updated slots and table games, congrats! Fletcher Collins: Yes, we broke ground in September of 2016 and began construction in October 2016 and we are really happy with the progress and completion. This expansion includes a three meal restaurant, renovation of our existing snack bar to open up more seating, adding on an 86 room hotel, a high stakes game room that has its own room within the casino area, a non-smoking game room, as well as doubled our existing game room. MG: The property opened in 2008 and has operated since without a hotel, what were some indications that the property was ready for the expansion? FC: I think the biggest indicator was the amount of customer requests for more amenities. We began as a property with a relatively humble beginning. As we got going, customers came and wanted to see more from us. Also, we are located on the corner of two busy highways, one going North to South and one going East to West, so we saw a the opportunity this presented and figured that we were in a perfect location for the upgrade. MG: With the addition of a new dining experience with Rivers Edge, what can guests expect from a culinary perspective? FC: Having a three meal restaurant offering breakfast lunch and dinner provides an all-around better dining atmosphere versus the traditional snack bar area. This will also add to the gaming experience. As guests stay here they’ll be able to dine then go on into their gaming leisure from there. MD: What other property enhancements should guests be excited about? FC: The new design of the gaming floor is really exciting with more space and new games. 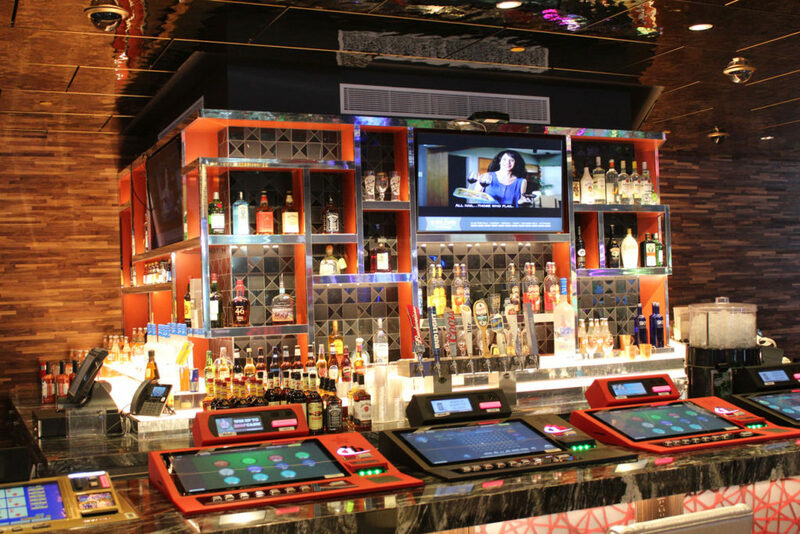 We added a nice, beautifully done bar and lounge area that is located in the center of the casino, making it easier for guests to get whatever beverages they may want. Also, we have a newly designed guest service booth and the addition of more reward terminals will add to the overall player gaming experience and allow guests to return to their games a lot quicker. The hotel rooms also offer room service for guests who like to dine in the comfort of their rooms. MD: So speaking of the rooms, what can guests expect with the standard rooms and suites? FC: Our standard rooms are offered in both double queen and king bed options and we also have two versions of suites that are available. The big bay suites offer sprawling rooms with beautiful views of the property and they feature different amenities as you upgrade. MD: Do you think the addition of the rooms will help draw from different markets? FC: Definitely. Now guests will be able to stay and play at their leisure and won’t have to hunt for a hotel when they visit. Whereas we have a smaller hotel in town, now they can stay and play with us and be right here and enjoy the amenities we offer. They can stay as long as they want and have the comfort of going to their room when they want. MD: In your opinion, what makes a great gaming experience for a guest and how does your team try to deliver that experience? FC: I think a great gaming experience comes down to exceptional customer service and attention to the guests wants and needs. When a guest comes to our property, they can expect to experience all we have to offer including our games and amenities and enjoy them with prompt and professional service. That is one thing we aim to do is offer that guest experience from the moment you walk into the door until the moment you decide to go home. Now that we have added these amenities, our guests can have the full gaming experience as well as feeling valued.